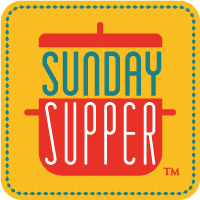 Today's #SundaySupper task: "Share recipes for food popular in the 50's, 60's, or 70's. Share recipes for food popular in the 50's, 60's, or 70's." Hmmm...okay. Given that I have no memories before the mid-70s, and what I do remember wasn't particularly inspiring, I started by looking at food advertisements from those decades. There was lots of cooking with Jello and Miracle Whip. Wow. I laughed at the Five Star Casserole recipe featuring Armour Vienna Sausage. Nope, not going there. But then I saw this ad for Campbell's - for Creamy Baked Pork Chops. If you can't make out the content, it's essentially pork chops, cream of celery soup, and water. I knew I could make this completely in my style, that is to say from scratch. No cans in sight. In a skillet, saute the celery in 1 T of butter until it begins to soften. In large soup pot, melt 3 T butter and a splash of olive oil over medium heat. Whisk in the flour, allowing the mixture to bubble to form a roux. Whisk in the broth, heavy cream, and water. 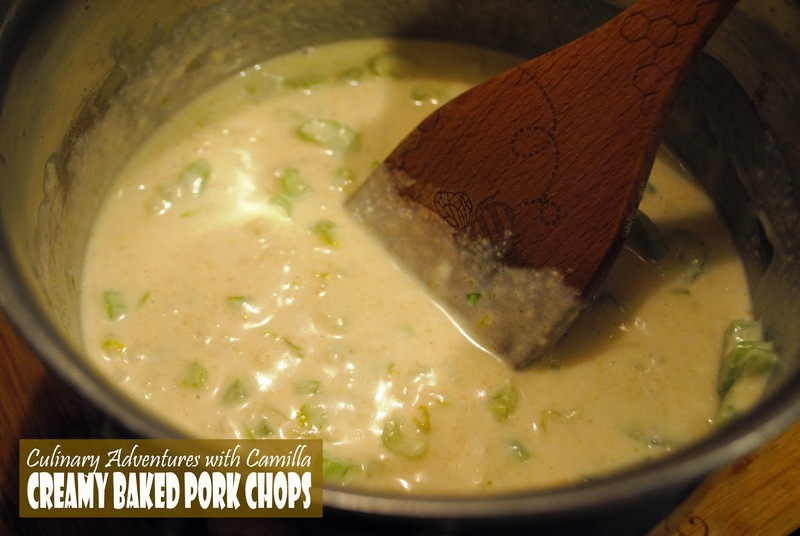 Stir in the celery and increase the heat to medium-high and continue to whisk for 5 minutes, allowing the mixture to thicken. Turn heat to low and simmer for 12 to 15 minutes. Stir in the shredded parmesan. Set aside. Preheat oven to 350 degrees F. Place the rack inside the oven to be able to accommodate your pot. 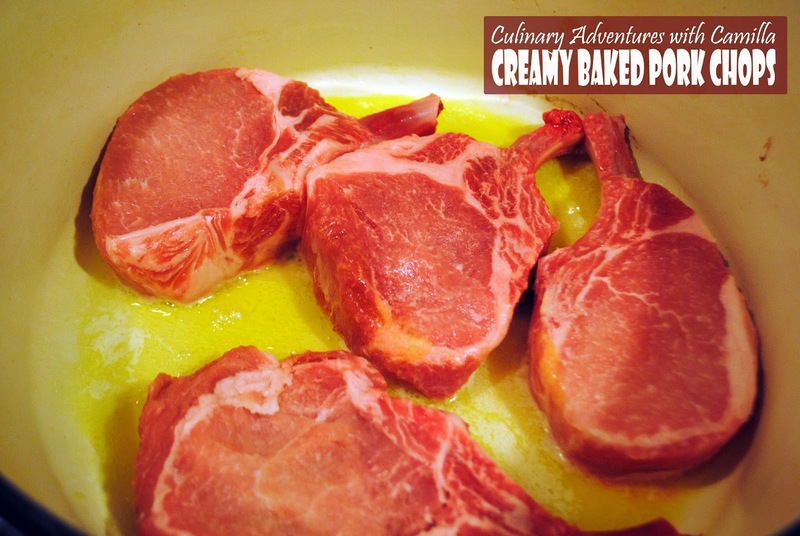 In a large pot with a lid - I use a Dutch oven - brown the pork chops in oil for 2 minutes on each side. 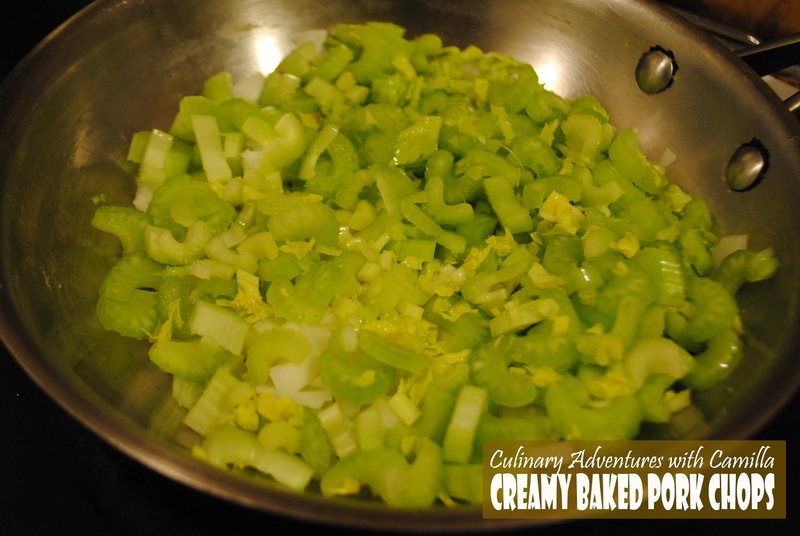 Pour the cream of celery soup over the top and bring to a bubble. Cover the pot and place it in the oven to 40 to 45 minutes. I love those old ads! Nice to see you updated one of those recipes to make it without the canned soup. Thanks. Yes, I have never looked at the ingredients of canned soup, but I'm sure it includes more than a handful of things! This was delicious. Looks like a quick and easy meal. I'm also glad you updated it without the canned soup, sounds great. It was surprisingly easy, too. Those soup recipes! I think everyone had some type of cream of mushroom soup recipe in the files! So true, I'm remember tuna noodle casserole with cream of mushroom soup from my college roommate. It was the 90s, but I know it was her mom's recipe from the 70s. Oh the heavier the better back in those days! 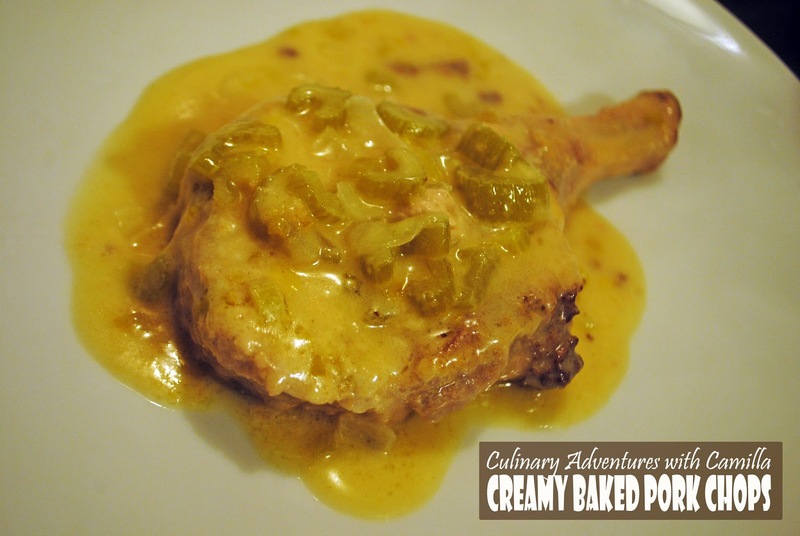 I remember creamy pork chops my mom used to make I love your recipe! Thanks for updating this retro recipe! It sounds wonderful---my family loves pork chops! This is the kind of easy recipe my mother always enjoyed. Brings back memories. Love the old ads! I remember everyone used soups in everything in the 60's. Great update on the recipe! I think you proved here that those soup as shortcuts was overrated! Adding tin soup to everything sadly was my husband's first introduction to American cooking when he visited years ago. He left with the idea that American's didn't know how to cook without it. No tins of soup in this house, and with recipes like this it is easy to see how that is possible. Lovely recipe, thanks for sharing. I could eat two of these right now! 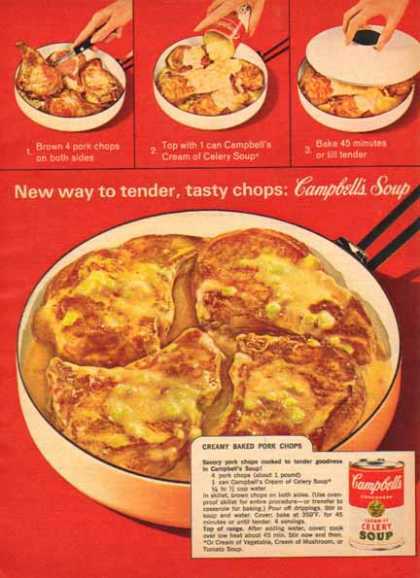 I LOVE that you found the vintage recipe print for Campbell's also! I'm making these for my kids! Yum!! 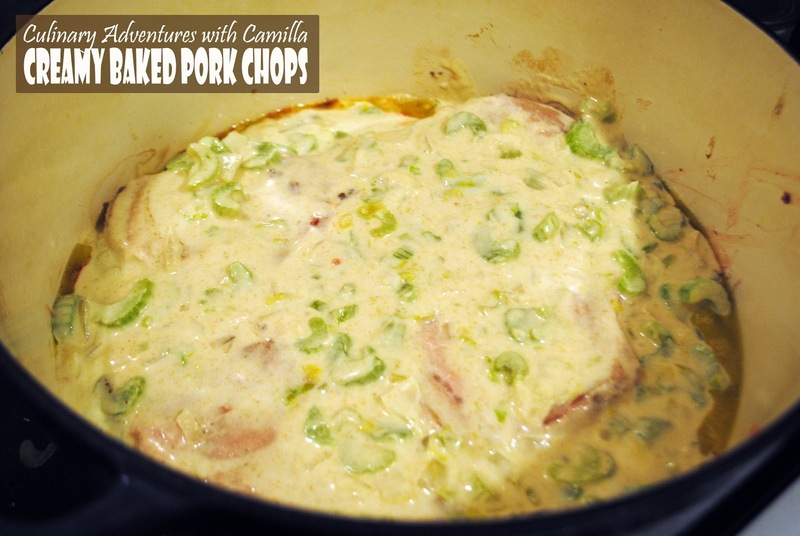 Creamy + Pork Chops = What time is dinner at y house! I used to make something very similar in the electric frying pan--it simmered instead of baking.... thanks for showing how easy it is to toss the canned soup.... looking forward to giving this a try! Nice! I haven't thought about this classic in years, and now I really want it! I would say onions or mushroom. Would love to hear how it goes. Kitchen Flop: I Made Briquettes!